European Central Bank (ECB) keeping the festive spirit alive, announces a $641 billion effort to keep Euro-banks standing. The State saves the banks, so that the banks can save us. This 'logic' now suffers from a problem of credibility. It is looking like the Big Guys look after their own. 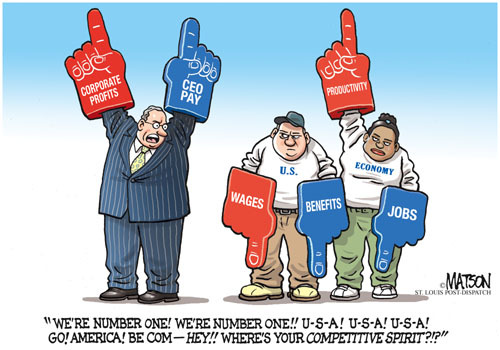 As for the Rest of Us ... | Cartoonist - Joel Petit; source & courtesy - about.com/d/politicalhumor | Click for larger image. And it is every Christian’s right, to expect freebies and goodies from Santa Claus. Since appearances must be kept, the European Central Bank (ECB) decided to become Santa Claus this year. The ECB decided to match the US$700 billion bailout package (TARP). The European Central Bank on Wednesday attempted to send a strong signal to financial markets by offering to loan $641 billion to 523 euro-area banks in a massive three-year funding operation. The bank-funding move by the region’s central bank, known as a longer-term refinancing operation, or LTRO, is open to lenders across the euro zone. The figure came in well above a Reuters forecast for $408 billion. The loans run for three years. The loans expand the central bank’s balance sheet by 20%, according to Louise Cooper, analyst at BCG Partners. A breakdown of which financial institutions were among the bidders for the funding was not immediately available. A representative from the European Central Bank‘s press office said that the central bank would not be releasing the names of the banks that applied for loans. Nor would it provide a breakdown of loans by euro-zone nation. The LTRO operation was the first three-year funding operation undertaken by the central bank. The funds are borrowed at its average benchmark interest rate, which stands at 1%. Ahead of the auction some media reports and analysts suggested that the drive to increase liquidity across the region was part of an effort to encourage banks to purchase government debt. (via ECB lends $641 billion to European banks – MarketWatch). If the US can come out with a US$700 TARP to save their Big Corporations, Europe can do better. The LTRO is a full US$100 billion bigger than the TARP. Jai Ho! | Cartoonist - RJ Matson; source and courtesy - rjmatson.com | Click for source image. Bigger than expected, the LTRO has been received with mixed feelings by analysts. The ECB said 523 banks requested €489 billion ($641 billion) in funding from the central bank in a bid to boost liquidity. A Reuters consensus had predicted funding requests worth €310 billion. “The good news is a lot more banks will be well funded throughout the next three years. They need to place the money short term and will be buying bonds in European sovereign countries, obviously,” said Christian Tegllund Blaabjerg, chief Economist at FIH Erhvervsbank. “But on the flip side of the coin, it also signals a lot more banks than originally thought need capital and that is negative news,” he said. “It sort of implies the banking sector is far worse off than originally expected.” (via ECB funding boost short-lived in Europe – Europe Markets – MarketWatch). Coming back to the Christmas season. Some analysts decided to run old number through their computers. What they found is that there is some kind of ‘season’ in the market also – around Christmas. The stock market, at long last, is about to enter the seasonally favorable period that honestly can use the name “Santa Claus Rally.” It begins at the close this coming Friday, the last trading day before Christmas, and lasts until the end of the year. It’s not a very long period of favorable seasonality — just one week, after all — but the historical odds are quite impressive. Consider the performance of the Dow Jones Industrial Average DJIA -0.49% during this period. Since 1896, when this benchmark was created, it has produced an average gain between Christmas and New Years of 1.07%. On an annualized basis, that works out to a gain of more than 80%. The market’s performance during this period has been relatively consistent, turning in a gain 78% of the time. That compares to a gain rate of 54% for all other weeks of the year. What accounts for this seasonal strength? A fascinating research study suggests that it has something to do with Christmas. Click here to read their study. (via Here comes good old Santa Claus – Mark Hulbert – MarketWatch). In the meantime, let us also remember how gold prices in the first 2 weeks of December 2011 have been soft. And probably it is Arab gold that is being dumped into the markets. Also remember that more noise works better than censorship. Gold /Silver /Oil and the BSE-Sensex Co-relation - How will this pan out? With gold prices at a historic high, the future trend of gold price is the question on everybody’s mind. There are a few wrinkles which make the future of gold price a complex subject. Gold prices in the coming 1-3 years, may not be a open-and-shut case. Lending stability to gold prices are the following six factors. IMF gold sales – IMF has some 3000 tons of gold – of which, some 400 tons have been earmarked for sale. 200 tons has been bought by RBI and another 20 tons by sundry central banks of Sri Lanka, Mauritius, etc. Leaving less than 200 tons on the table. RBI claims that they have put in a bid for the rest also – and the decision on that will be taken soon. Thus, any downward pressure on gold prices due to IMF sale is unlikely. Central Bank gold sales – Various European banks have been selling gold from their ‘reserves’ on the open market, over the last ten years. Not much is left from that quota. No downward pressure from this quarter also. Chinese Yuan appreciation – The whisper on the street is that the Chinese yuan may see 10%-15% appreciation in the next 4-8 months. This may trigger a re-balancing of the global currency equations, making the dollar weaker in narrow range. This may lead to a welcome lowering of the US trade deficit – which will strengthen the dollar, against non-yuan currency. And re-create some confidence in the US dollar. Indian business outlook – Yuan appreciation will end up making the Indian export sector, specifically and corporate sector generally, more profitable. An increase in merchandise export seems unlikely. Improvement in profitability will attract dollar inflows into India for investment in Indian stock markets; increasing liquidity in India, decreasing interest rates and mildly strengthening the rupee. Double whammy – A strengthening rupee and a stronger dollar is likely to further put downward pressure on gold prices. For the first time in many years, India has slipped to number two position (by a minor ten tons) as the largest gold ‘consumer.’ Accompanied by the drumbeat of official media, Chinese consumers have been encouraged to buy gold – and comparisons to India are being freely made. “Even if it’s sold at a market price, we should still buy,” counters Xia Bin, head of a key Beijing think tank advising the State Council cabinet (and also making plain that this is his personal view). Gold value is 10% of Indian capital stock – Keep in mind that India is a US$1 trillion economy and India’s 25,000 tons of private gold reserves @Rs.18,000 per tola and Rs./USS$ rate @Rs.45 to dollar converts to US$ 1 trillion also. Adopting a return on capital employed @ 10%, implies total capitalization of the Indian population at US$10 trillion. And gold forms 10% of that capital. Is this an equilibrium in India. From here on, Indian gold demand may well be damped. What about the Eagle’s loot? What can trigger a fresh upward burst in gold prices, can be any of the following events. One tremor, in the market, on any of these triggers, will set off another stampede towards gold. Depending on the event, the next breather gold may then take will possibly be at US$1800 (ounce)/ INR25,000 (tola). As the last one year unfolded, the Citi, GM, rescue plans, have strained the US Treasury. The next upheaval may be sovereign debt. Greece, Iceland, Ireland, Spain, UK et al are tethering at the brink. If they regain their balance, world economic outlook may give reasons for optimism – and for gold prices to take a breather. To avoid a default by Greece, Spain or UK, the ECB may need to extend some really big sums of money. What makes these five cases specially worrisome, is the near-absence of manufacturing and industrial output in these countries. Unlike France, Germany or Italy. This may make EU-member countries balk at extending lines of credit, sovereign guarantees, underwriting of new loans, interest /capital waivers, rescheduling of debts, rollovers – the works. Defaults by any or all names. Without credit lines, loans, underwriting, guarantees to these on-the-edge countries, may set off an exodus or a break-up of the EU. Can Russia and China become a problem? Russia has seen a major drop in export income, due to crash in oil and raw material prices. Yuan appreciation in the China could the other trigger. But these two scenarios may take 2-5 years to play out. These may not be the reasons for the immediate run-up on gold prices. But to get a real perspective on how changes in gold prices can happen, the Soviet Gold saga is worth looking at. Indic Justice – rediscover or reinvent? 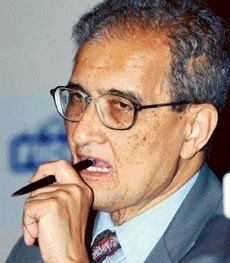 More like Amartya Sen has foot in mouth disease? The on-going saga of the Ambani brothers’ dispute, brings home how deeply and completely Indic norms of justice and fair play have been lost. The Ambani brothers have approached the Prime Minister and are pressing their cases in the Supreme Court for justice. Such a form of dispute redressal is alien and remote to Indic thought. The other apparently unrelated ‘event’ is the much promoted and publicised book, The Idea of Justice by Amartya Sen, has no clue about justice (at least on Indic thoughts on justice). Apart from a few token mentions about Ashoka Maurya and Akbar Moghul, he has very little to say about Indic thought on justice. But he speaks very volubly on Western thinkers and thought on justice. To bring out the contrast, one has only to read the Biblical story of King Solomon’s justice (where two prostitutes claimed the surviving baby as theirs). The point worth noting is that this paradigm of justice centralizes solutions and concentrates power in the hands of some central authorities. So, whether it King Solomon or Caliph Haroun Al Rashid (the King in disguise), or the Turkish Çapanoglu Ahmet Pasha (of the bell of justice fame which even a donkey could ring to summon the king for justice) – the model was the all-knowing King. Variations of the Donkey /Horse and the Bell of Justice story is localized and retold in various cultures. Going back earlier, the Desert Bloc model of seeking justice was captured in the story of Tehuti-nekht (the oppressive overseer); a ‘sekhti’ (the poor salt-trader) the ‘clever’ Meruitensa (The Grand Vizier /Supreme Judge) and The Wise Pharoah Nebkanra. The Duke of Venice perpetuates the myth of justice in Shakespeare’s Merchant of Venice. The more than 120 Doges of Venice who ruled Venice for nearly a 1000 years, preserved the myth of justice during the Middle Ages. In modern times, as republican democracy made Emperors and Kings redundant, the Smart Lawyer took over the justice function, in the garb of legal thrillers. Perry Mason replaced The Wise Emperor as the fount of justice. John Grisham keeps company with many writers about legal-eagles, who go out to save the innocent from the hangman- and send the guilty into the dock. Like John Buchan, GK Chesterton, Wilkie Collins, et al. Hollywood used the legal thriller genre with assembly line regularity – with successes galore, like Billy Wilder’s Witness for the Prosecution (1957), with earlier instances like Charles Laughton and Marlene Dietrich, or the screen adaptation of Harper Lee’s To Kill a Mockingbird (1962), or the more modern Erin Brockovich (2000)and My Cousin Vinny (1992). In more than 1000 Indic books, that record more than 10,000 years of history, there is no instance of any dispute reaching an Indic King. The longest ancient epic in the world, The Mahabharata has no incident where a private dispute reached Yudhisthir (though a mongoose could lecture the King about sacrifices and yagnas). There was never any case of private dispute, recorded in the Ramayana, that reached Ramachandra (though a dhobi could ‘inform’ the king on bazaar talk about the Queen Sita). Even a poor Brahman, Kautsa, could reach King Raghu for help in the disbursal of guru-dakshina गुरु-दक्षिणा. In yet another instance, rulers were warned against disproportionate punishment – through the Mandavya incident. Mandavya, was punished by Yama (the God of Death) for his ‘crimes’ as a child, of hurting insects. Through a chain events, Mandavya ended up, impaled on a trident /stake. After best efforts to remove the offending weapon, a part remains inside Mandavya’s body. With a trident through his body, Mandavya confronted Yama. Mandavya, the sage, berates Yama for ‘criminalising’ children. Codifying the principle of juvenile justice, Mandavya exhorts “that no action committed by a human being till he is fourteen years of age shall be regarded as a sin which it would thereafter.” In turn, Mandavya curses Yama to be born as a shudra child – to learn about the ‘reality’ of life. Yama, born to shudra woman, became Vidura, Dhritarashtra’s court. In Buddha’s childhood, an injured swan becomes a point of legal dispute with his cousin, Devadatta. The injured swan, Devadatta’s hunting /archery practice target, was claimed by Siddhartha. Some minister’s preferred Prince Siddhartha’s claim, due to his position. Since the hunt was not for food, but for pleasure, Devadutta’s claim over the swan was seen as weak. Finally the claim of the saviour was seen as superior to the claim of the hunter /captor. Replace the swan, with a slave, and the legal principle for any dispute between a slave-owner versus slave-liberator, is established. The same principle is evidenced in Artha-shastra in many shlokas. The Tamil classic, Silappadikaram, is ancient Tamil drama about the perils of royal justice. Silappadhikaram is, a literary critic informs us is “a saga of the of the cult of the Goddess Pattini … the first ripe fruit of the Aryan-Dravidian synthesis in Tamil Nadu.” Who is Goddess Pattini? Once a widely worshipped Goddess in South India, now limited to modern Sri Lanka “Pattini was an angry deity, whose anger was directed at evil people and she is also associated with rational justice.” The destruction of the city by Pattini, the Goddess of ‘rational’ justice, is a warning against vengeful royal ‘justice’ – and instead move towards ameliorative Indic justice system. Elango Adigal warns Indic kings from taking over and interfering with dispute resolution mechanisms. The Pandyan King, Neduncheziyan, in Silappadikaram, comes to grief, after royal intervention goes horribly wrong, resulting in miscarriage of justice. Modern econometric modelling shows that for much of the last 1000 years, India has been a significant economic power – till the 1900. China and India, this analysis estimates, for the last 1000 years, accounted for 50% of the world economy. Statistical analyses showed India with a world trade share of 25% for much of the 500 years during 1400-1900. The interesting (historical) aspect of the criminal management story is the absence of any surviving mass jails in India prior to colonial India. 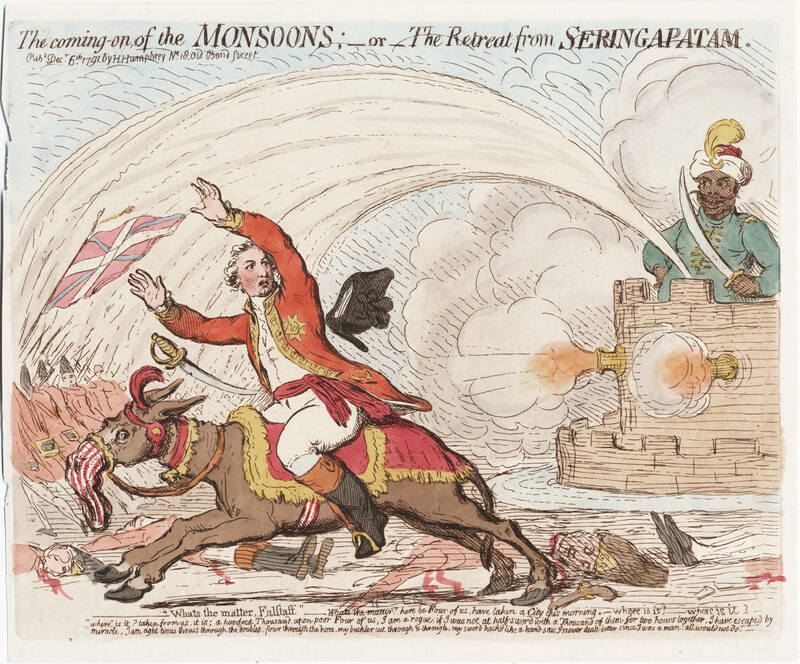 Just how did pre-colonial India, one of the largest (and most prosperous) populations of the world, deal with crime and criminals? Cut to modern India. With such an inheritance, India has the lowest prison population in the world. How can India have such a low prison population, with a poor police-to-population ratio and a crime rate which is not above the average – in spite of a large civilian gun population. In modern times, India is not a big player in spamming or in software virus – though a power in computing industry. In August 2008, a hoax story alleged that an Indian hacker, had broken into a credit card database, and sold it to the European underworld. Some ‘experts’ feared that this would spark of a crime wave across Europe. Evidence of a different Indic system goes far back in history. To Lipit Ishtar, Hittite laws, Hammurabi et al. At least as far back as 4000 years back in history. Indian kings did not deliver justice. It was done at the local level by panchayats पंचायत. Indian justice systems did not rely on imprisonment or executions or the police to control crime! The answer – the world’s most stable marriage system and the extended family-social structures took care of the wayward. A recent Hollywood film on the Desert Bloc system of justice was the schizophrenic Breaker Morant – by Bruce Beresford. In the closing lines of Breaker Morant, when asked about his religion, Harry ‘Breaker’ Morant declares that he is a pagan. When the execution detail comes to get Morant and Handcock, the military chaplain asks their religious affiliation. “Pagan.” replies Morant. “What’s a pagan?” inquires Handcock. Morant replies, “Well, it’s somebody who doesn’t believe there’s a divine being dispensing justice to mankind.” Handcock nods and says to the chaplain, “I’m a pagan too.” (extract from Wikipedia; accessed on 25th January, 2010). I have always wondered how much the writer knew – and understood the import of that statement. In India, under the onslaught of the Desert Bloc, Akbar-Birbal stories, Tenali Ram-Krishna Devaraya were used to create expectations of a Wise King. From then on, the Indic system of justice crumbled at a faster pace. Is it that Indians were ‘saints’ and did not have private disputes? Were they so civilized that they could solve all disputes by talking to each other? Is it that Indian kings were not bothered about delivery of justice! With passage of time, the real harm to the Indian society by some of the foreign rulers is forgotten. For instance, the Mughal period saw the impoverishment of the Indian farmer, due to uncertainty over land title, whimsical tax regimes – and not the religious agenda, which has been ‘sold’ to Indians. By latter colonial rulers, the British. We may see a repeat of the same phenomenon, this time, seeing the colonial rule through rose-tinted glasses. Colonialism was an unmitigated disaster – and should be clearly remembered as such. We may see attempts to cover up the colonial misrule, by ‘academics’ whose motives are not always obvious or in the open. One such ‘academic’ is Kishore Mahbubani. H.E.Professor Dr.Kishore Mahbubani, of the National University of Singapore, Dean, Lee Kuan Yew School of Public Policy has recently written a book. In an interview with The Times Of India he opined, a cloying, subservient and ignorant view of the modern history. “Asia has benefited immensely from the western seven pillars of wisdom — free market, science and technology, meritocracy, pragmatism, culture of peace, rule of law and education” says Mahbubani. I tried disagreeing. I thought I had overwhelming evidence. But after the Mahbubani experience, with liberal doses of assistance from St.Barnum’s (patron saint of propaganda), I must admit, I was enlightened. And I also want to know, who your PR agency is, Kishorbhai! I was a non-believer in Western commitment to free markets. After reading Kishore Mahbubani, I realized, I was reading too much propaganda about how Indian mangoes could not be exported to USA for the last 18 years – because of pesticide residues. India, (wrongly) disallowed imports of allegedly, ‘over-priced, gas-guzzling, polluting’ Harley-Davidson motorcycles. USA, in turn taught India a thing or two about free trade. After a sufficiently, enlightened India, lifted restrictions on imports of Harley-Davidson motorcycles, pesticide residues disappeared, and the US allowed imports of Indian mangoes again. I am sure that Indian farmers, with some devious trickery, ensured that pesticide residues vanished. For the last 300 years, the West restricted imports of fabrics and garments. Dhaka’s de-urbanization due to this in the 1800-1900 is written into history – wrongly. The last law was the MFA agreement which created a quota-based regime for textiles, in the West. Agricultural subsidies of nearly US$20 billion dollars by USA and EU, to their farmers are also in the spirit of free trade. For the benefit of the starving Rest, the West is giving these subsidies to Western farmers, to lower food prices. How does it matter that the agricultural economy of the recipient nations gets destroyed! Things like non-tariff barriers are hokum and over-worked Eastern imagination. The story of repeated and frequent rejection of mushroom exports from India is also in the spirit of free trade. Indian applications for ‘equivalence’ certificates have been pending with EU for the last 7-8 years – and not processed for the last 7-8 years due to lack of manpower. Interim annuals approvals are given instead – in the spirit of free trade, after some ‘concessions’. Of course, the Western zeal for free trade extends to enforcing opium trade (just ask the Chinese). Kishorebhai, I only wish, ignorant Easterner that I am, is that we in India can enforce ‘free trade’ in opium today in USA and the Europe. When the ignorant East, did not see the benefits of Western invention of free trade, the West was compelled to use force (remember Commodore Perry? For more details, ask the Japanese). Mahbubani’s assertions are right. These ‘facts’ above are like a bikini. What they reveal is indicative, what they conceal is vital! In this case, the Western spirit of free trade. How can the ignorant East, question Western wisdom – or ethics, integrity, motives? Of course, all these cases and incidents are a conspiracy to defame the West. Before Western invention of Science and Technology, what did the East know? Zilch. Zero. Sifr. Shunya. That is all. This claim about India inventing the zero and infinity is probably right. Because they had infinite knowledge about Zero – and nothing else. All their books about geometry (Aryabhatta, Bhaskara) are just figments of Eastern imagination. Eastern knowledge about eclipse prediction has now been proved wrong by Kishore Mahbubani’s expose. Indian shipbuilders and steel technology was just puffery – as demonstrated by Kishore Mahbubani. Of course as Hegel said, there is no African history. I realize after reading Kishore Mahbubani’s interview that there is only Western Science and Technology. It must have been some Westerners behind the ‘achievements’ of China, Africa and India. How ignorant I was before being enlightened by Kishorebhai! PT Barnum adds – Are you not forgetting the option of crediting aliens? They were always mislead by their leaders. The only place in the world that they could find equity, was in the West. If the West had not ‘bought’ these poor ‘Blacks’ and allegedly ‘enslaved’ them, they would have still have been in Africa – and lost the benefits of the Western meritocracy. Some Black leaders are today claiming that they have even contributed to Western technology. Similarly, if the Gypsies had not left India, (supposedly) a thousand years ago, they would have lost all the benefits of Western civilization. Early Punjabi settlers in USA did not properly understand their position in Western society. They were basically inferior people who demanded equality to their White masters. This mis-perception, of course, created misdirected protests. These ignorant immigrants from the East did not properly understand Western meritocracy. The Wisdom Of St.Barnum – If Japanese and Chinese immigrants faced discrimination in the USA, it was their fault – why did they have to look different? I agree that the West is truly pragmatic! After annihilating the Australian Aborigines, the Australian Government decided to apologize. What more does the world expect? This apology from the magnanimous West was as pragmatic as anyone can get! Kishorebhai, we have a saying in India, about cats going on a pilgrimage after killing a hundred rats. In this case, of course, the West went one better. They killed millions of humans – and apologized for that! Western practice of Pragmatism at its best! St.Barnum sez – What could be more pragmatic? I agree with Kishore Mahbubani! The Native Americans were wiped out – nearly the entire race! Today they are a relic – a tourist attraction! Like rare animals in a zoo! Aborigines in Australia have similarly been annihilated. Two world wars in a space of 40 years. The entire Jewish population of the world has been reduced to 10 million – by the West. But, Kishore Mahbubani says, the Western civilization is about peace! And he is right! These wars were forced upon the West – and were fought to bring peace on Earth. Now since there are no Native Americans and Aborigines, how can there be a war with the Native Americans and Aborigines. Similarly, if there are no Jews, there cannot be a war with the Jews. The West is also trying to cleanse the earth of all Muslims. Then there cannot be a war with Muslims also. St.Barnum pays a tribute to Kishore Mahbubani – Kishorebhai, you concept of culture of peace is stunning to say the least. Hats off. Completely true and a matter of fact! Consider the Western laws on slavery! And those related to minorities! Or current laws in the UK and US to deal with terrorism. The disenfranchisement laws came into effect by the 1890’s – that continue till today. This ensured that the disproportionate numbers of ‘Blacks’ could not vote – and George Bush became the President of the USA for the 2nd time. After some 60,000 ‘Black’ Voters were disenfranchised, George Bush technically, won by less than 1000 votes (most of the disenfranchised voters were expected to vote against George Bush). Petty crime (where poor) ‘Blacks’ were convicted in higher ratios were grounds for disenfranchisement. These laws ensured that 10 times higher number of ‘Blacks’ were disqualified compared to Whites. If that is not bad enough, it continues till now. Such tactics continue to be used to limit Black participation in democracy. In 1904, the US pressured Tomas Estrada Palma, a ‘puppet’ Cuban President, to sign the Platt Amendment. This allowed US intervention in Cuban affairs, if ‘vital’ US interests were at risk (meaning at US will) – finally modified only in 1934. The many laws which made Gypsy hunting legal – like laws which made hunting animals legal. The latest news in that Italians are going to crack down on Gypsies – as per a EU law. St.Barnum confirms – Yes, Kishore Sir! The West believes in laws. I must admit, that Western education does achieve its goals! West does produce leaders, generation after generation, who relentlessly execute the same agenda. The annihilation, the massacre, the pogroms – against natives in America and Australia, minorities like Gypsies, Jews and various Christian sects. The kidnapping of Aboriginal and Gypsy children. The massacres in Africa – from Roman times to 20th century. And now the specter of Islamic Demonization. St.Barnum adds – This degree of continuity and consistency is missing with others. There is something about Western education Mr.Mahbubani, I agree. The real country model that the West manages itself on is something else Mr.Mahbubani. Loot – of gold, resources, ideas. And slavery. Add significant amounts of fraud. Nothing more and nothing less. And their strategy to ‘white wash’ this – propaganda. With Kishorebhai’s plausible sincerity, I am not quite able to decide if Kishorebhai is an innocent and ignorant victim of Western propaganda or a part of the propaganda. Either way, his book and his ideas are trash – and this post is a case of intellectual slumming.